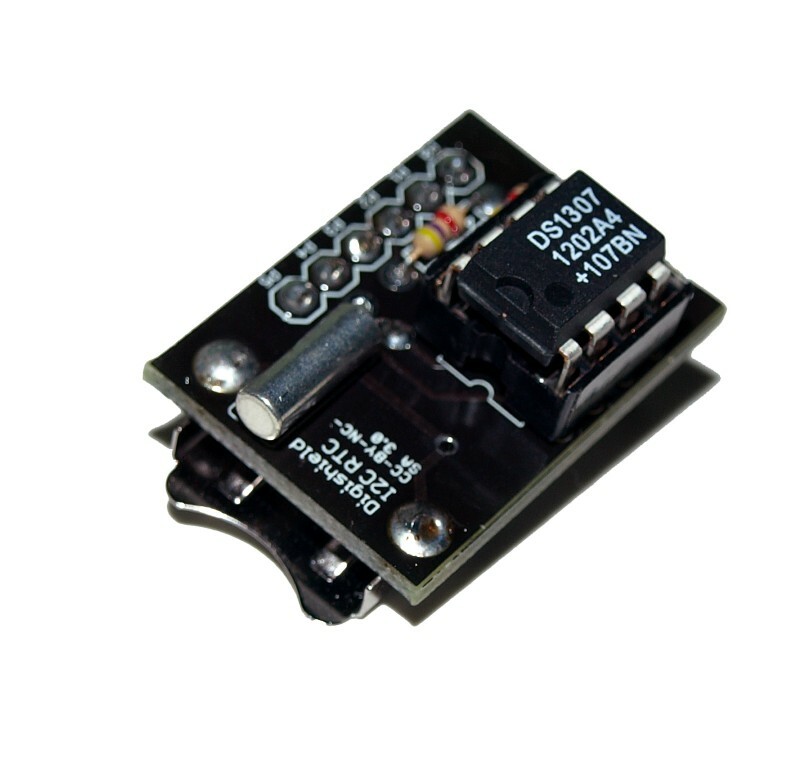 The Real Time Clock Shield Kit allows you to build a Digispark shield which connects a DS1307 Real Time Clock to the Digispark development board. 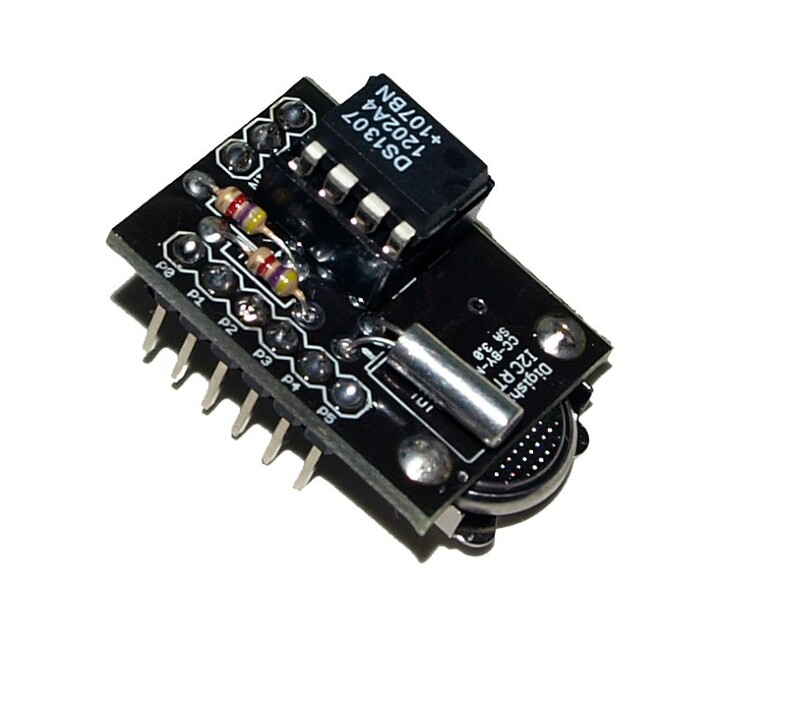 The DS1307 communicates with the Digispark over the I²C bus. 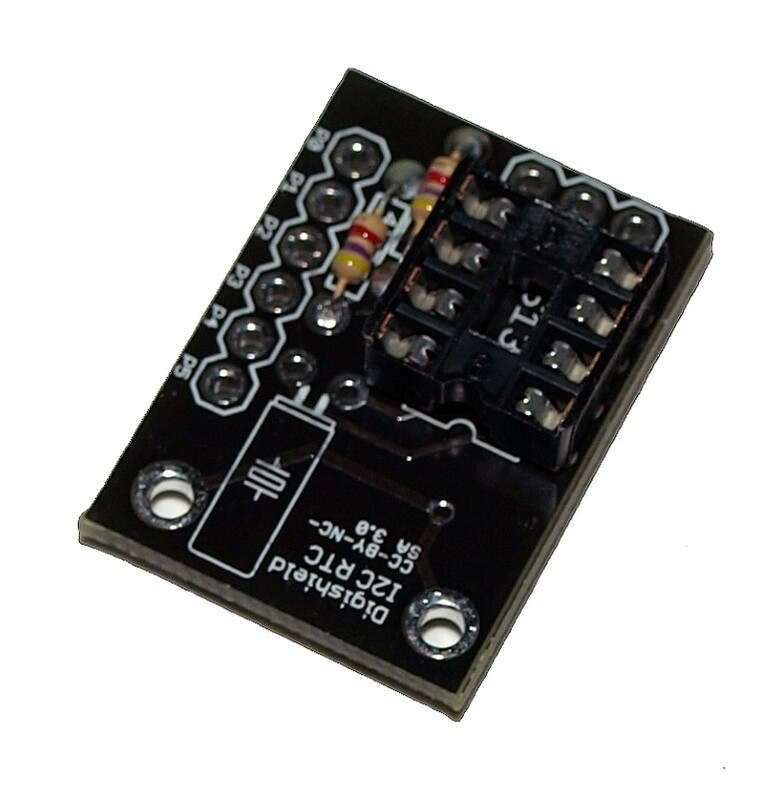 The Real Time Clock Shield can be used to keep accurate time even after the device is powered off. 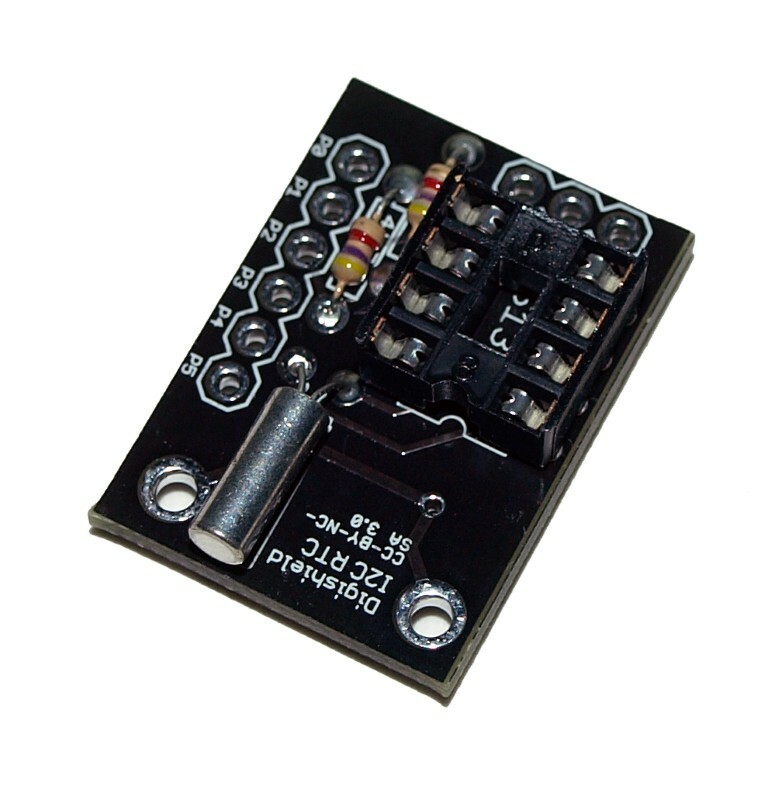 This shield allows the Digispark to be used to make clocks, alarms, or add time and date data to any project. 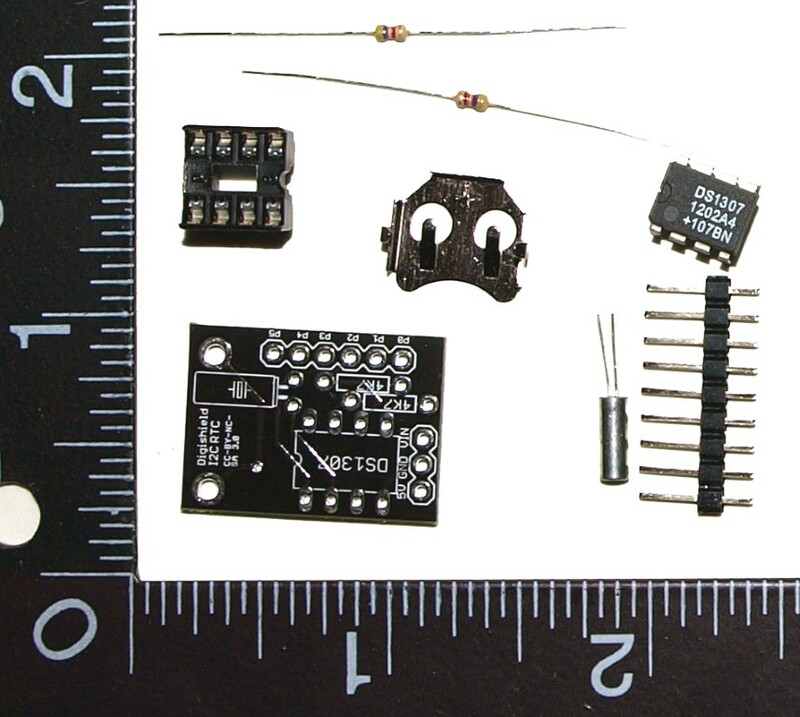 Empty kit bag (or if using a raw PCB, aquire parts) and verify contents. Note for Digistump.com: Headers are not included in each kit bag, but the entire order came with more than enough headers for all kits. Insert the 8 pin DIP socket into the board matching the indention cut out on one end with the indention printed on the board. Insert the leads of the crystal - while which lead goes in which hole does not matter, you must ensure the leads do not cross each other. Solder leads and clip off excess. Insert the battery clip on the bottom of the board - solder where the two tabs come through on the front. 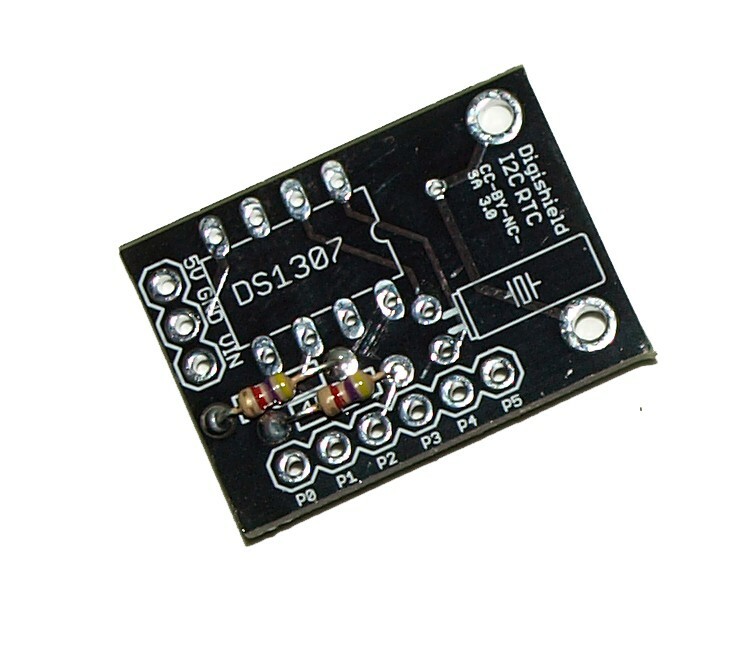 Insert the DS1307 IC into the 8 pin DIP socket matching the indention cut out on one end with the indention on the socket. Insert a CR1220 battery into the battery clip. your shield is complete! #define GPIO_ADDR     0x27             // (PCA8574A A0-A2 @5V) typ. 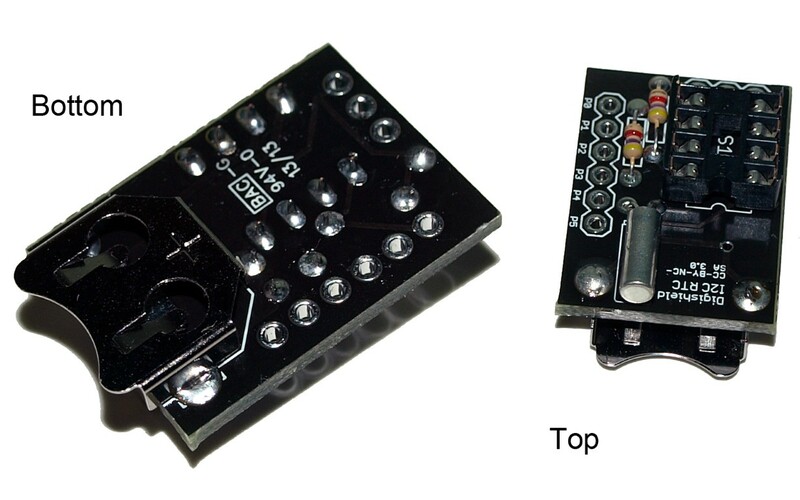 A0-A3 Gnd 0x20 / 0x38 for A - 0x27 is the address of the Digispark LCD modules. lcd.backlight();                      // Print a message to the LCD.